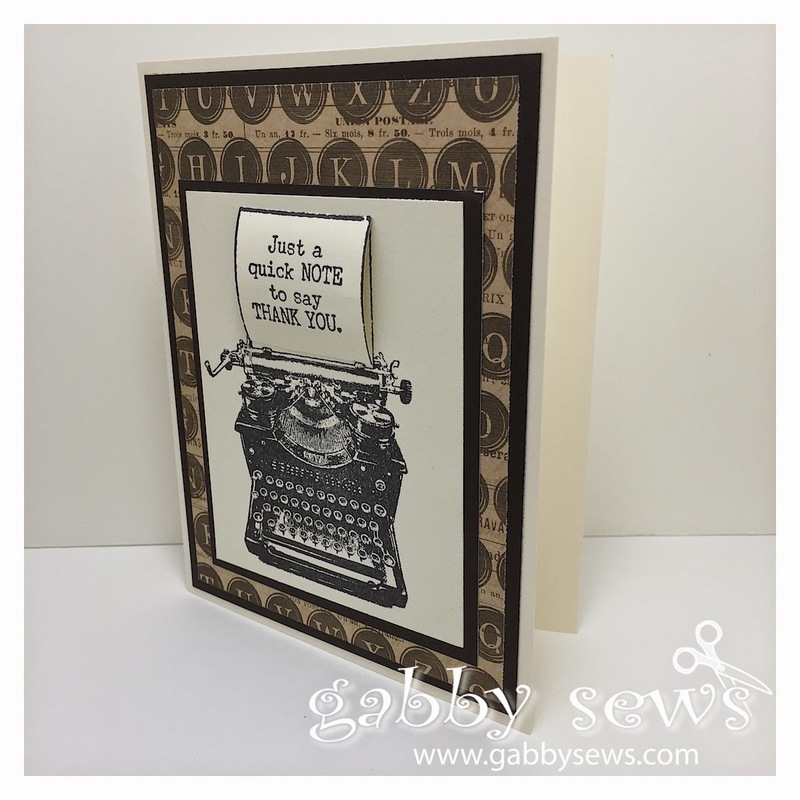 Here is the card I hinted at way back in January when I was finishing up my thank you card series. The has to be one of my favorite cards that I've made. At the last minute I thought it would be cute to make the paper look like it was curling up from the typewriter so I curled it up with my bone folder and then stuck a bit of foam adhesive in the middle. How many of you remember when you used a manual typewriter and you had to flatten your paper out after you were done? I sure do! I also remember the angst at trying to get that darn paper back in the typewriter just right if you made a mistake. I love this set - it comes will all kinds of sentiments to put in the typewriter and a fabulous pointing finger. I just love the whole vintage trend that is going on with this set! You can buy this set for only $5 when you place a qualifying $50 order. And...if you can get two other friends to go in with you on this and you end up with $150 in orders*, all three of you can get your own stamp set for $5 and you (as the hostess with the mostest) will earn at least $25 in free select product!! 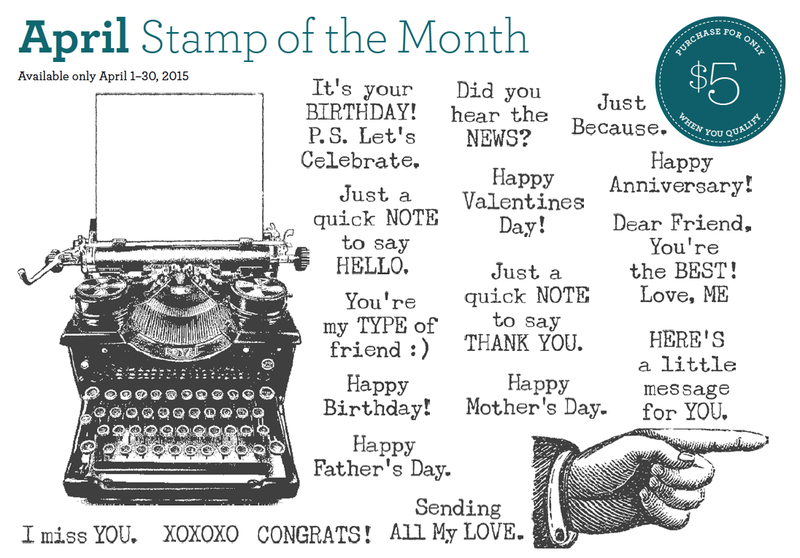 This stamp set is only available during the month of April 2015 so you need to be Johnny on the spot with this one! *sadly any purchases of the grab bag specials do not count toward hostess credits - they still will help you qualify for the Stamp of the Month so it's not all bad news down here at the asterisk!